The CEO of Sanger International, an IT consulting firm, is powerful and successful Hillary Kelsey. Kelsey is a black woman with no black employees and no one can figure out why—until Darryl Montgomery, her 9:30 am interview, enters the firm. On this day--filled with an unbelievably awful morning that reminds Hillary of her “place” in a racially-charged society, a pending account that could make or break the future of a company, and a mystery man determined to turn Hillary’s world upside down--the events of the film TITLE VII illustrate why same-race discrimination can not only ruin a company, but possibly destroy lives. 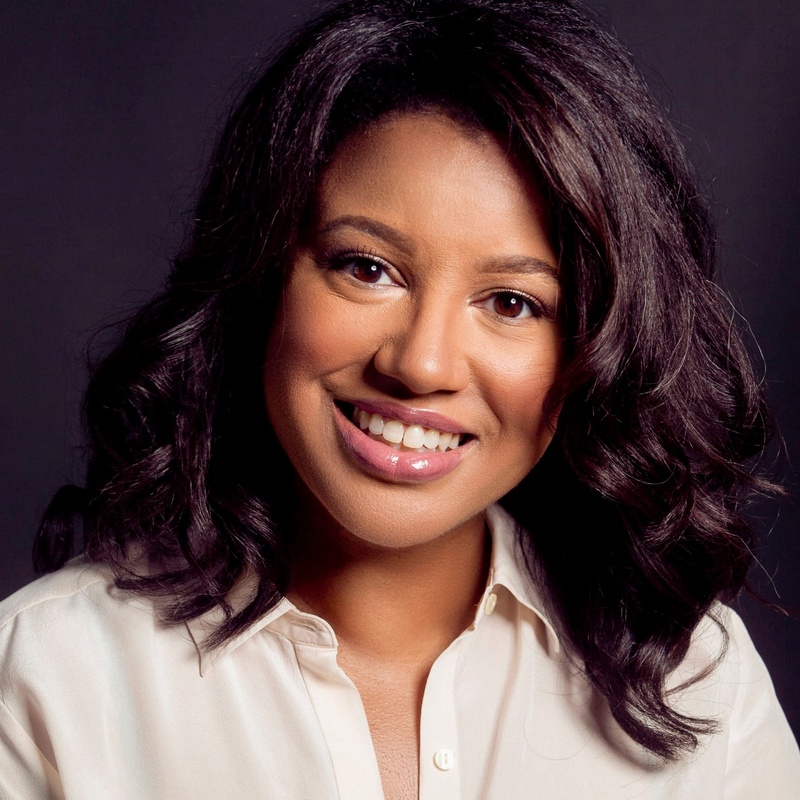 Nicole Franklin is an award-winning filmmaker, published writer and an Assistant Professor of Television Production at Hofstra University. She has recently made her narrative feature directorial debut with TITLE VII, a film on the rarely discussed subject of same-race discrimination in the workplace. TITLE VII had its world premiere at the 2017 Hollywood Black Film Festival and was the 2017 Jurors Choice of the Women of African Descent Film Festival, the 2017 Martha's Vineyard African American Film Festival HBO sponsored Best Feature Nominee and the 2017 St. Louis International Film Festival Emerging Director Award Nominee. Nicole is also the recipient of the 2017 Reel Sisters of the African Diaspora Lifetime Achievement Award. Her other directing credits include the multi-award winning documentary The Double Dutch Divas!, Journeys In Black: the Jamie Foxx Biography, Black Enterprise Business Report, and corporate videos. Educational films executive produced by her company EPIPHANY Inc. and directed by Nicole include Gershwin & Bess: A Dialogue with Anne Brown, whose entry in the IFP Market was the 2005 Gordon Parks Award nominee, and the 10-chapter series Little Brother, both titles distributed by Third World Newsreel and currently airing on kweliTV. Through her 28 years in the industry Nicole has been a television director (multi-camera), theatre director, stage manager, editor, educator, public speaker, web event host and contributing writer to such publications as NBCBLK, The Good Men Project and Toronto-based ByBlacks.com. For nineteen years, her company EPIPHANY Inc. has produced independent films for numerous cable networks including Showtime, BET, IFC, Nickelodeon, Sundance Channel and kweliTV. In news she has worked on several Emmy Award-winning teams in stations from St. Louis to Los Angeles to New York City and on programs such as The Today Show, NBC Nightly News, CBS This Morning and CBS Sunday Morning, where during her tenure she and the team received three Daytime Entertainment Emmy® Awards. Single-topic news programs such as the Emmy®-award winning OJ Simpson: The Trial were also part of her earlier assignments while an editor at KNBC-TV in Los Angeles. Currently Nicole is the co-producer and co-moderator of the weekly Monday night Twitter series #BlerdDating, created by Leesa Dean of ChilltownTV. Little Brother is a recipient of the Foundation to Promote Open Society/Campaign for Black Male Achievement Award, fiscally sponsored by Fractured Atlas. Inspired by Gershwin & Bess…, Nicole has a screenplay in development titled BESS. She is also the founder of the nonprofit Hack4Hope introducing St. Louis teens to the tech industry. Nicole’s affiliations include American Association of University Professors (AAUP), Directors Guild of America (DGA), Producers Guild of America (PGA East), IBEW, The National Association of Black Journalists (NABJ), The Black Documentary Collective (BDC), Film Fatales NYC and New York Women in Film & Television (NYWIFT). Project reels may be viewed at NicoleFranklin.com.